The University of Hawai’i basketball team might still be finalizing plans for a trip to Australia in 2018, but the unofficial tour guides appear to be in place. At least three Australian players are expected to be on the 2018-19 Hawai’i roster, including Owen Hulland, who announced his commitment last week to play for the Rainbow Warriors. The 6-foot-11 forward is expected to sign a National Letter of Intent during the early signing period in November. He will be a freshman for the 2018-19 season. “I think Hawai’i is becoming a hub for Aussie players because of the style of play and also because Hawai’i is such a desirable place to play,” Hulland said. Hulland was selected to the elite Basketball Australia Centre of Excellence program in 2016, and recently played on the South Australia team that won the country’s U20 championship. 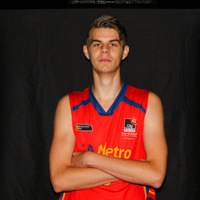 He averaged 9.6 points and 8.0 rebounds per game for the South Australia Metro U18 team in 2016. The website phenomhoopsreport.com described Hulland as a “versatile, skilled stretch 4 man” and compares him to Frank Kaminsky (former All-American at Wisconsin who now plays for the NBA Charlotte Bobcats). Hulland made an official visit to Hawai’i several weeks ago, and knew almost immediately that it would be a good fit. Fellow Australian Jack Purchase is a junior on the current Hawai’i team. Another Australian player, Mate Colina, is expected to join the team in December. Colina and Hulland are both members of the Centre of Excellence. 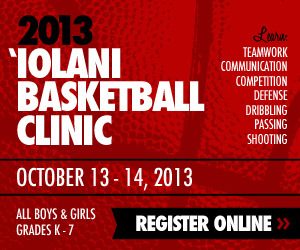 Hulland is also looking to be part of a future winning tradition at Hawai’i. “My main goal at Hawai’i is to help get the team to the NCAA Tournament and get as far as we can and play the best schools in the country,” he said.